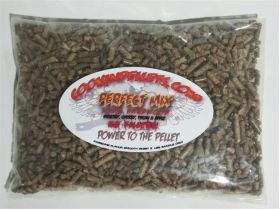 Our Awesome Perfect Mix in a 3 lbs bag. Give it a try and see if you like it! 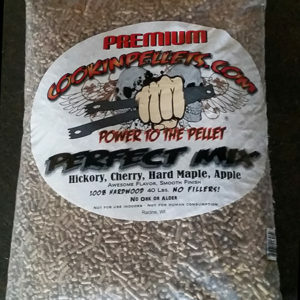 Our Perfect Mix is made of Hickory, Cherry, Hard Maple, Apple. 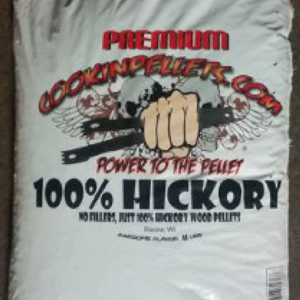 NEVER any oak or alder fillers, only the top 100% hardwoods. 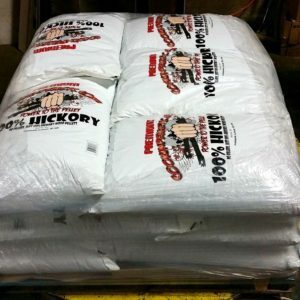 This 3 lbs bag lasted 4 hours to the minute in my Lil Tex at 225 on the digital! cause birth defects or other reproductive harm. PLEASE NOTE THE FOLLOWING EXPLAINS THE WARNING ABOVE! Has no bearing on what we do but have to place this information anyway!! How can I reduce my exposure to wood dust? Work outside if possible when you are sanding or creating fine wood dust. Wear a dust mask that fits snugly and comfortably. Consider installing a dust-collection or air-filtration system in your indoor work space to help capture and remove wood dust at the source. Consider using a saw hood or a sanding table that has suction to pull dust particles downward to prevent inhalation, especially if you are sanding wood that is glued, laminated or has synthetic finishes. Do not use brooms, blowers, fans or compressed air to move dust. Vacuum with a high-efficiency particulate air (HEPA) filter or use a shop vacuum with a HEPA filter if possible. Use wet clean-up methods such as wet rags. 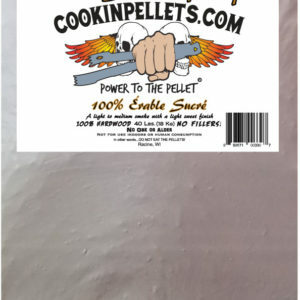 Carefully bag and seal wood dust from vacuum or other dust extraction systems. Wash your hands after finishing wood work and before preparing food and eating. Change out of clothes that contain wood dust before entering your home, car, and other areas. State of California to cause cancer, birth defects, and other reproductive harm. How can I reduce my exposure to carbon monoxide? Ensure that equipment and appliances that produce carbon monoxide are installed correctly, maintained in good condition, and vented to the outside whenever possible. Install a carbon monoxide alarm, test it frequently, and replace its batteries as recommended. Obtain annual inspections for heating systems and chimneys by a trained professional. Make certain that vent pipes, flues and chimneys are properly connected, cleared of any blockages, properly vented to the outside, and otherwise in good condition. Limit time spent in enclosed parking facilities, service stations, and vehicle-repair facilities. Never use kerosene heaters, charcoal grills or barbecues indoors. Do not idle a car in an enclosed garage or shed even if the door is open to the outside. Carbon monoxide present in motor-vehicle exhaust can build up very quickly in garages, sheds and living areas of homes. Never leave any gasoline-powered engines (lawn mowers, weed trimmers, snow blowers, chain saws, or other small engines) running in enclosed spaces. Never use your gas stove or oven to heat the home. Do not use unvented gas fireplaces. Do not use gasoline-burning appliances such as cooking stoves and ranges, generators, or camp stoves in enclosed spaces, including homes, basements, campers, tents, vans, trucks, garages, or mobile homes. Do not smoke. Do not allow children to breathe tobacco smoke. 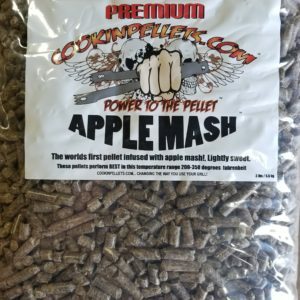 Bulk Mix and Match, 10 Bags total Shipping Included!